A year ago I got a new tool I was hoping that it will revolutionize my fly fishing. It was the OutCast Fish Cat Streamer XL. Did it? I will tell you later. Lets remember the FishCat Streamer XL. It’s a 8′ feet long, compact, entry level pontoon boat with a high steal frame that is made for cruising rivers or for covering lakes. The air cell is made from durable vinyl protected by 1000 denier fabric PVC. The maximum load capacity is 300 lbs and the pontoon boat itself weights 63 lbs. 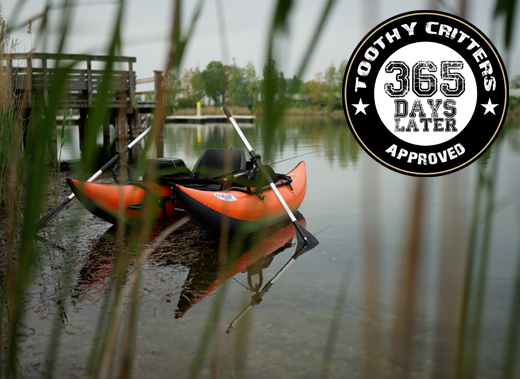 5 years of warranty is offered by outcast to ensure long fun on the water. When I look around in my garage I see two floating devices and I’m always in trouble selecting one. My OutCast Super Fat Cat and the Outcast Streamer XL. 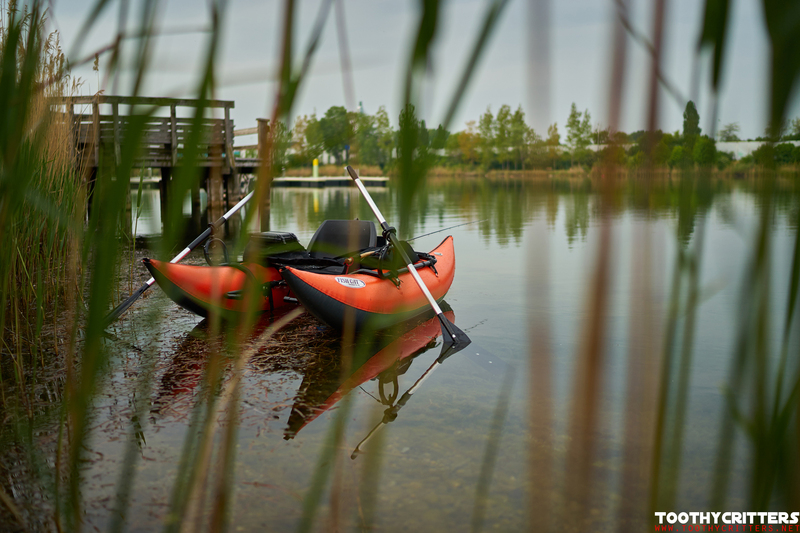 They both are great and offer a superb fishing but both of them have different advantages. With the FatCat I’m ready within minutes while with the Streamer XL it takes me for sure 15 minutes to assemble and the same time to disassembling. I tend to use more and more the pontoon boat but I’m still in love with the quick ease of my Super Fat Cat. How did it perform and is it now my number one? It did not yet became my very best friend. But this is just because it is too heavy. I don’t know, maybe if you are 6 feet tall and can carry 60 lbs with ease it might be not an issue for you but for me this is an act of strength to get boat on the water. I miss the easiness and simplicity with a pontoon boat, especially because I love to go fly fishing even for a few hours. It is really a cool pontoon boat and I haven’t found any major drawbacks if we ignore its weight. 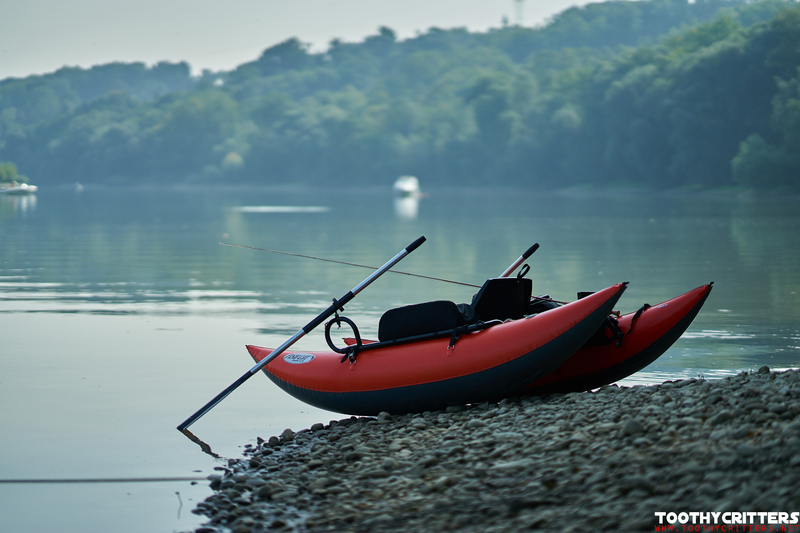 If time and portability is not your number one requirement you are best suited with the streamer XL pontoon boat. 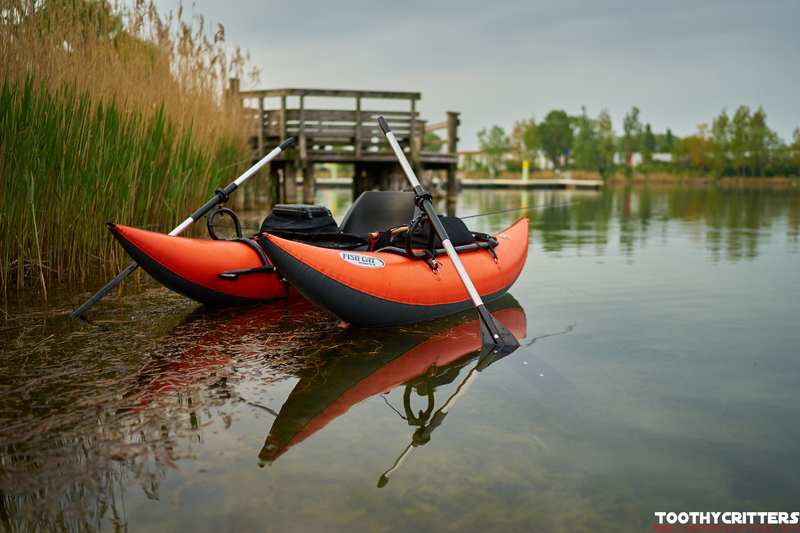 You will love the mix of boat control and the flexibility to speed on with the paddles. Also to have some extra storage capacity maybe even doing a floating trip with it. With a belly boat? No way! Durability!! The Streamer XL id very durable with its 1000 denier outer fabric. 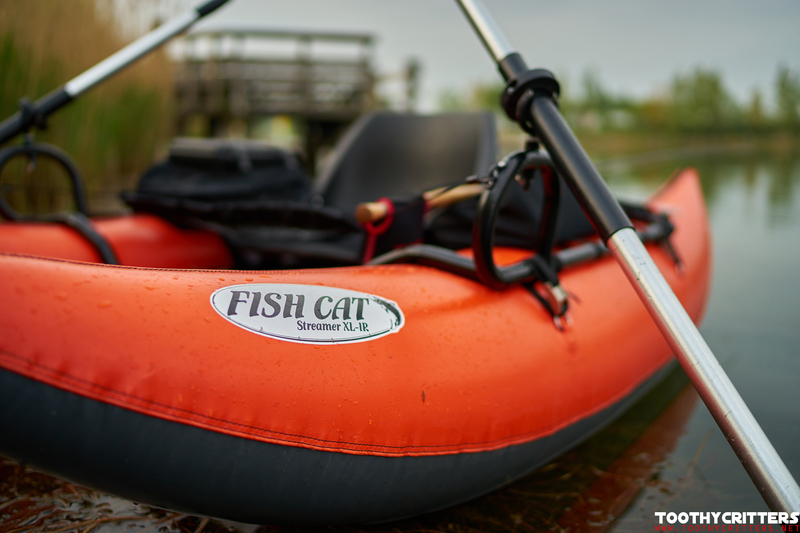 I used it now many times during the last year and some friends did too for some a catfish fly fishing tour on the river Ebro. 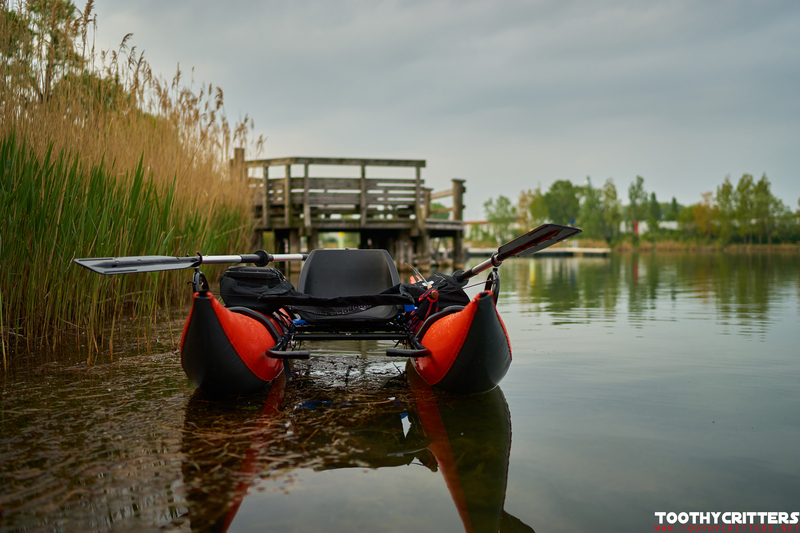 It was many times dragged over the ground and except some minor scratches on the pontoons it still looks and works as good as on the first day. In terms of durability a +++! Should you buy the Outcast Streamer XL? I say YES and can recommend it with the only requirement that you can access the water with your car or you even leave it in the water. Then you can have a fully relaxed fly fishing you can imagine. ToothyCritter approved!! 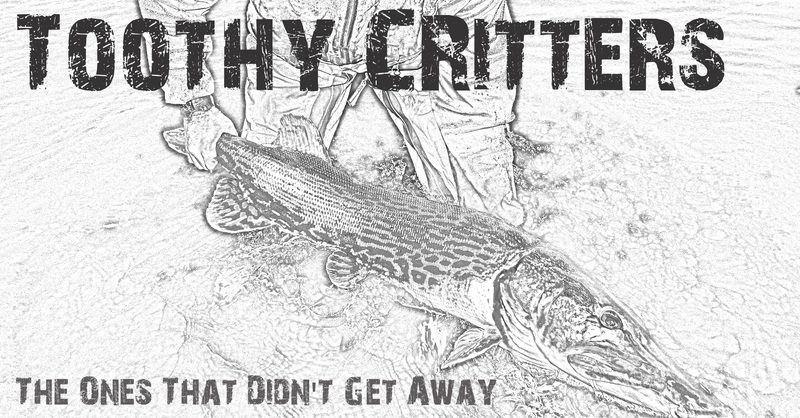 This entry was posted in Blog and tagged Belly Boat, Fliegenfischen, Fly fishing, OutCast; Pontoon boat, Pike fly fishing, Streamer XL, Super Fat Cat.